S2 Outfitters is Owned and Operated by Eric and Heather Strand of Warren, Oregon. Since 2009 our number one goal has been to provide a safe, comfortable and high quality hunting experience each and every day! We invite you to go hunting with us and experience the best hunting the Pacific Flyway has to offer! Eric started S2 Outfitters formerly known as Strand Outdoors in 2009. 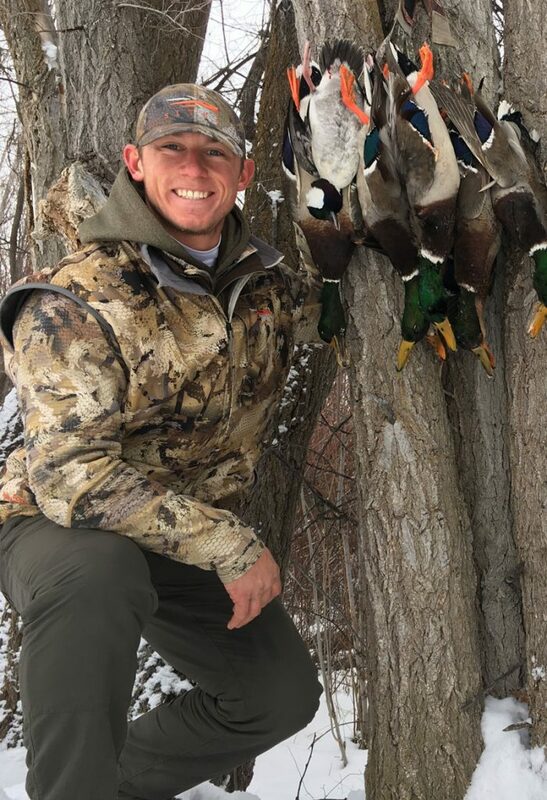 Since the age of 15 he has worked hard to get where he is today and takes great pride in offering high quality hunts that clients will remember for a lifetime. He and his wife Heather along with their two boys Wyatt and Dylan reside in Warren, OR. Heather is a stay at home mom and helps manage their business, Decoy Dancer motion products www.decoydancer.com out of their shop at home. Eric currently has more calling contest wins than any other contest caller in Oregon and Washington, is a 6 time World Duck qualifier and has placed in the top 5 twice at the World Goose Calling Championships in Easton, Maryland. 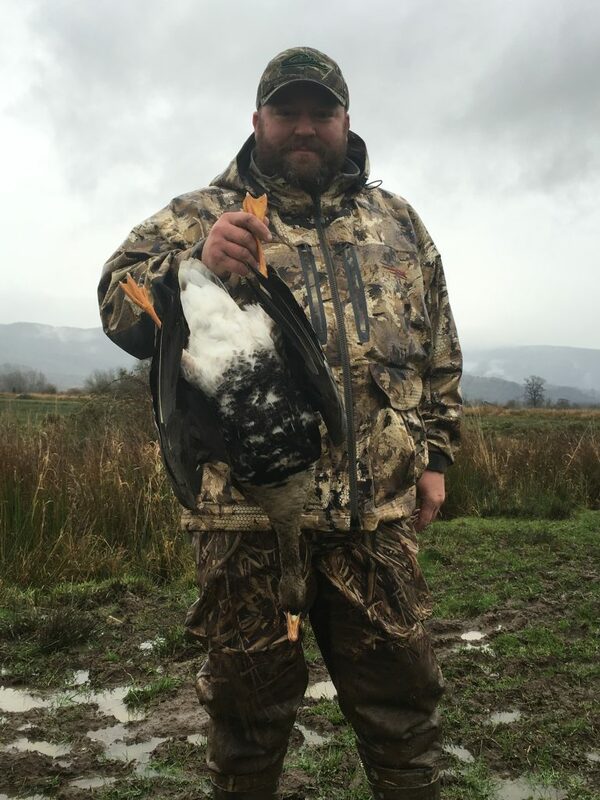 He serves on the board for the Oregon Duck Hunters Association, Oregon Hunters Association and Oregon Waterfowl festival and truly enjoys volunteering and getting kids involved in waterfowl hunting. Mike Horne is a northwest native who was brought up hunting and fishing in SW Washington. 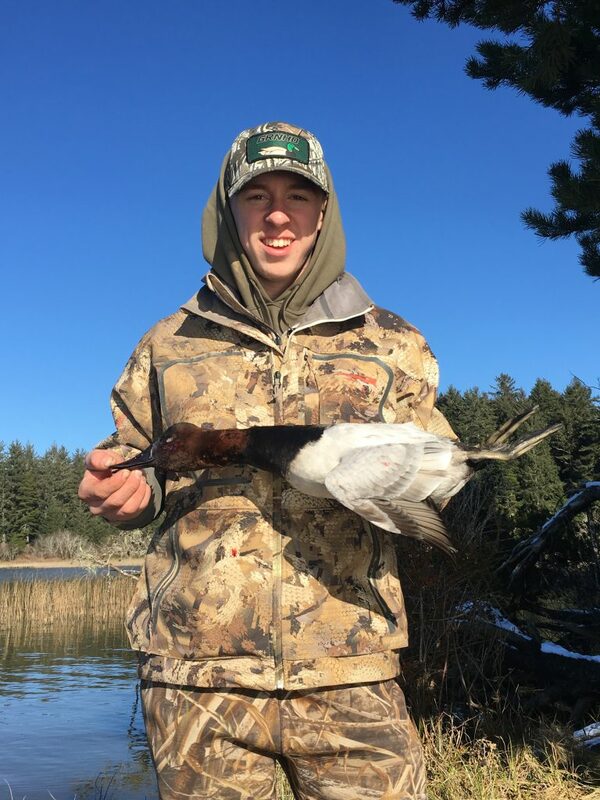 From an early age he became passionate about becoming an all around outdoorsman with his focus being in waterfowl, salmon and blacktail deer. Mike spent time working for Danner/LaCrosse where he traveled across the country working trade shows as well as traveling to China to assist with overseas production. Since leaving the corporate scene at Danner he has pursued his dream of being a full time hunting and fishing guide working for us since 2012 and working as a deckhand and captain for Tiki Charters, Oregon Tuna Charters, Columbia River Guide Service and Gone Catching Guide Service. With his 6-pack OUPV license completed Mike will be guiding salmon and steelhead fishing trips for S2 Outfitters beginning in 2017. Mikes dedication to his trade and strong work ethic make him a huge asset to the team. Each morning you can catch him with a smile on his face as the sun starts to rise and he truly enjoys every day spent in the field. Eric Zwald was born and raised in Portland Oregon where he grew up hunting waterfowl all across the northwest. He was first introduced to waterfowl hunting by his father when he was 7 years old. Instantly he was hooked to the sport of duck hunting and has been obsessed ever since. Eric and his wife live on Sauvie Island today where he manages two duck clubs along with Fowl Play Pheasents. 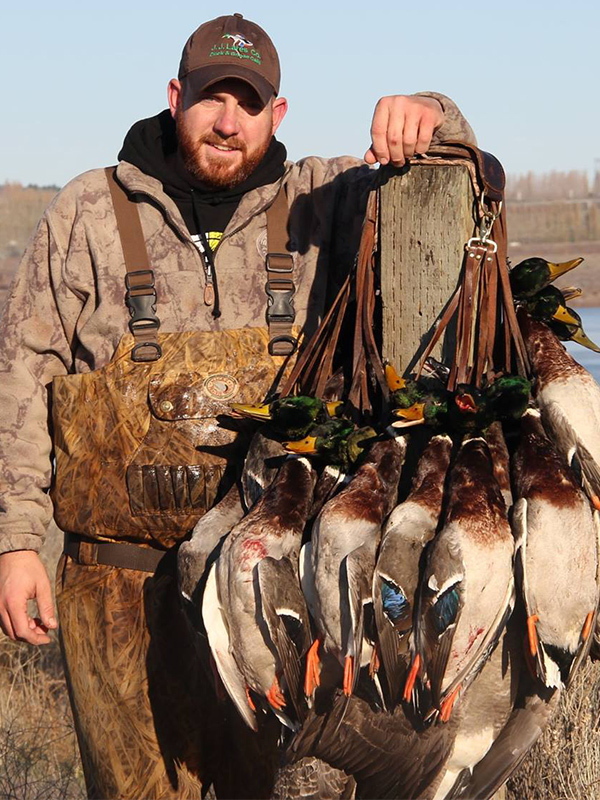 He has hunted waterfowl all over the world, some of his most memorable hunts have been with Sean Mann in Canada and Phil & Jase Robertson in Eastern Washington. He also enjoys Turkey hunting, upland hunting, fishing, and big game hunting. Eric brings an unmatched skill set and dedication to all aspects of waterfowl hunting, we are fortunate to have him with S2 Outfitters. 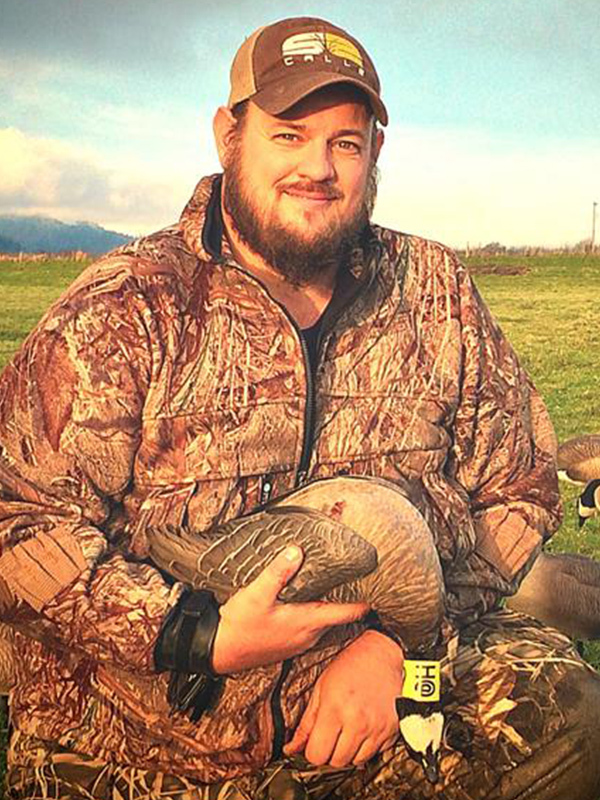 Cody Ballard of La Center, Washington grew up hunting the Ridgefield National Wildlife Refuge and Sauvie Island Wildlife area. These hard hunted public areas gave him a solid waterfowl hunting foundation and many skills he has been able to apply to guiding. Currently a senior at La Center high school Cody is a 4H leader and champion hog showman who works on his family’s farm raising show pigs during the spring and summer. He is also an aspiring bull fighter training with some of the top bullfighters in the region and working at bull riding events with the task of cowboy protection. His plan after high school is to work towards a job in the maritime industry working on the Columbia and Snake river systems. Clients enjoy hunting with Cody because of his fun loving nature and strong work ethic. He’s been working for S2 Outfitter the past few seasons as a guide helper and scout. Jesse Ballard lives in La Center, Washington where he works as a truck driver and is the owner of Highland Hill Hogs where he and his family raise show pigs. 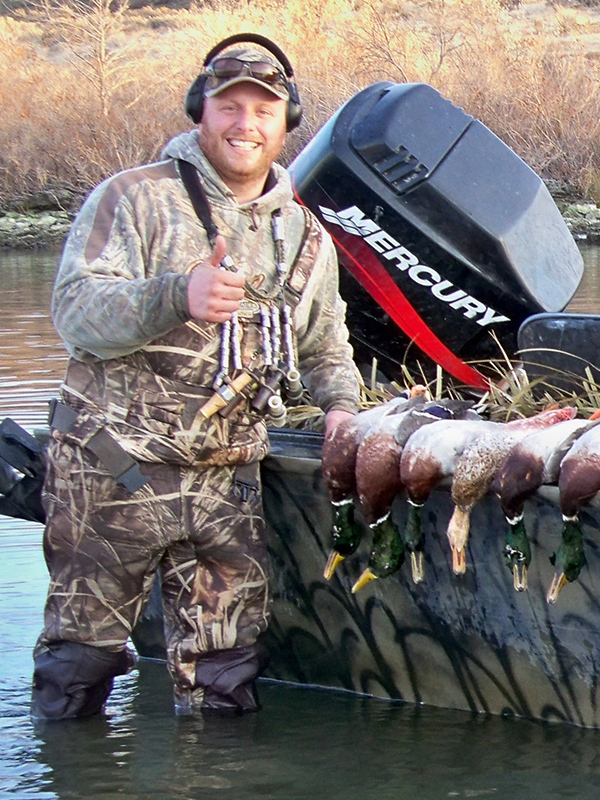 Jesse is a true waterfowler who enjoys every aspect of waterfowling. You are sure to have a good time hunting with Jesse where his attention to the small details sets him apart from the rest. He will go above and beyond to make sure the blinds are looking “just right” and you have a hot cup of coffee and something warmt to eat! My name is Jordan Osborn. I grew up in Eastern Washington along the shores of the Columbia River in East Wenatchee. Growing up in Eastern Washington helped me develop an immense passion for hunting and fishing. I was fortunate enough to have my dad and my grandpa pass down their love of the outdoors to me, and I get to continue this with my dad and younger sister. Hunting for Ducks, Geese, Doves, Pheasant, Chukar, and Quail have always kept me busy during the fall and winter months. But, when hunting season is not open I spend my time chasing Walleye, Bass, Salmon, Steelhead, Trout, and Kokanee. I have been truly blessed to be able to have such a variety in the outdoors, so close to home. With areas like the Columbia River, Banks Lake, Moses Lake, Potholes Reservoir, Lake Chelan, Lake Roosevelt and the Columbia Basin I am able to do all of this hunting and fishing right here in Eastern Washington. In my spare time growing up I played football and baseball in high school, then played baseball in college. I have been guiding waterfowl both full time and part time since 2013 on the Columbia River. I have always had endless support from my parents and younger sister no matter what has been going on in my life. I married my amazing wife, Hilary, in July 2017. She is incredibly supportive of my drive for the outdoors and enjoys us fishing together with our dog Dozer, especially on Banks Lake for Walleye.